Replacement:DEV-11814. 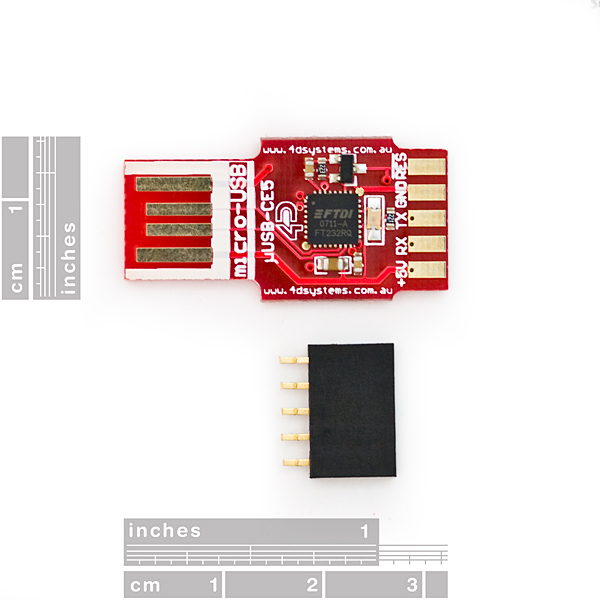 This part has been upgraded to the µUSB-PA5, go check it out! This page is for reference only. 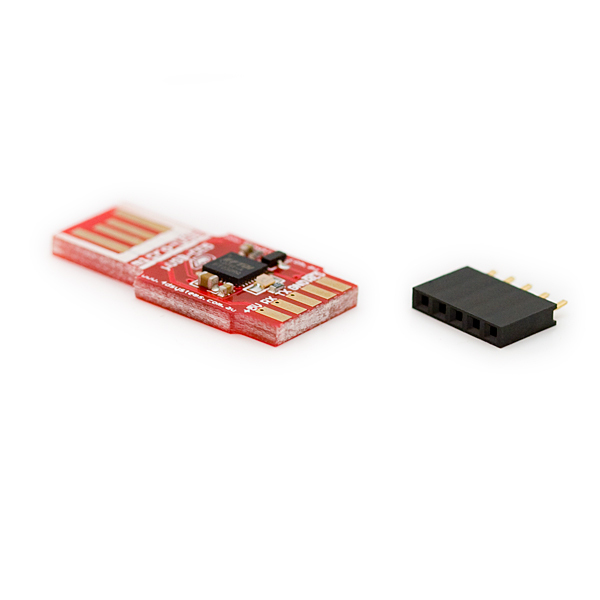 The micro-USB μUSB-CE5 is a USB to RS-232 bridge converter which is simple, cost effective, very small and easy to use. 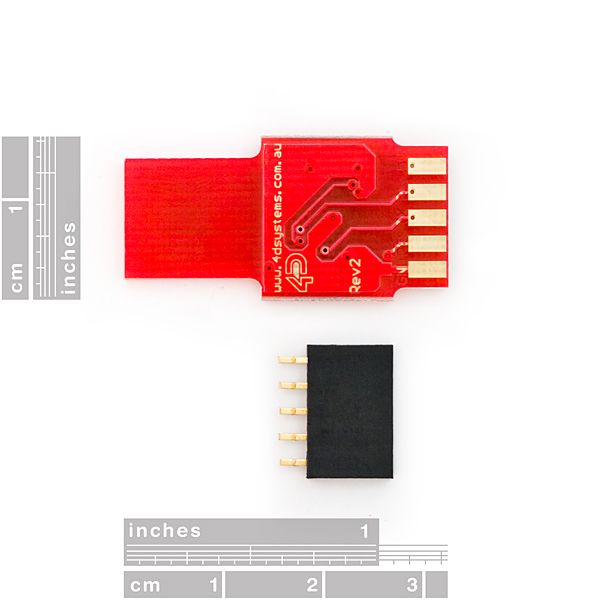 It uses its own PCB as a card edge type connector to plug into a USB A type cable or directly into a USB hub port. The absence of a mechanical connector makes the μUSB-CE5 a very low profile device. The design is based around the FT232RQ from FTDI and provides the user with multi baud rate serial data up to 3M baud rate. Standard 0.1” pitch 5 pin female or male header can be soldered to provide the essential signals and power to any application. RX and TX signals are both 3.3V and 5V tolerant. Any update as to when you'll have these in stock? This is an impressive little board. I wish it had a metal casing around the USB-A connector. 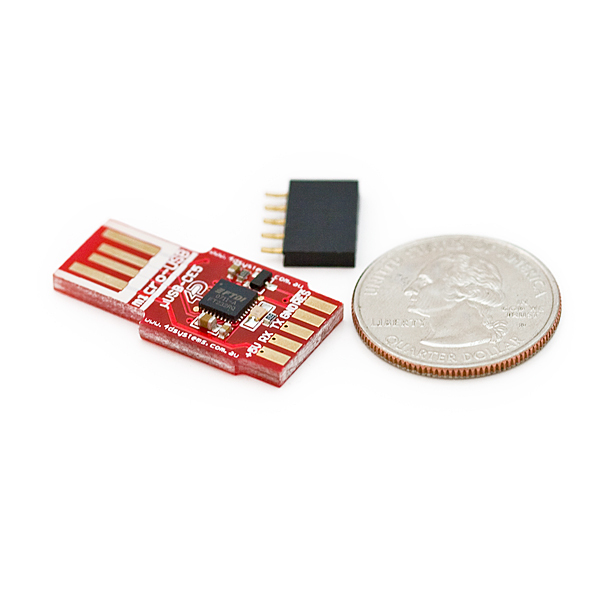 I just ordered one for the new RPi/Arduino display module kits now being offered. According to everything I've read, the PA5 is the recommended USB-to-Serial programming interface. I am wondering what would I could use this with besides the 4D systems screens? Can I use this with Arduino Display Module - 4.3" Touchscreen LCD?